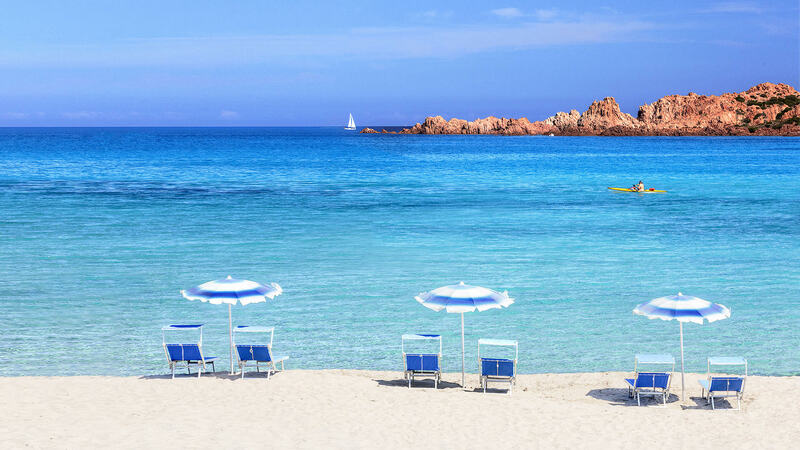 The Hotel Marinedda, at Isola Rossa in the North of Sardinia is in a wonderful position about 250 metres from the sea and the beach. The fabulous public beach at La Marinedda, is easy to reach on foot from the Hotel (about 250 metres from the swimming pool) or by using the shuttle bus service available free every day to make it easier to carry bags and children’s games. 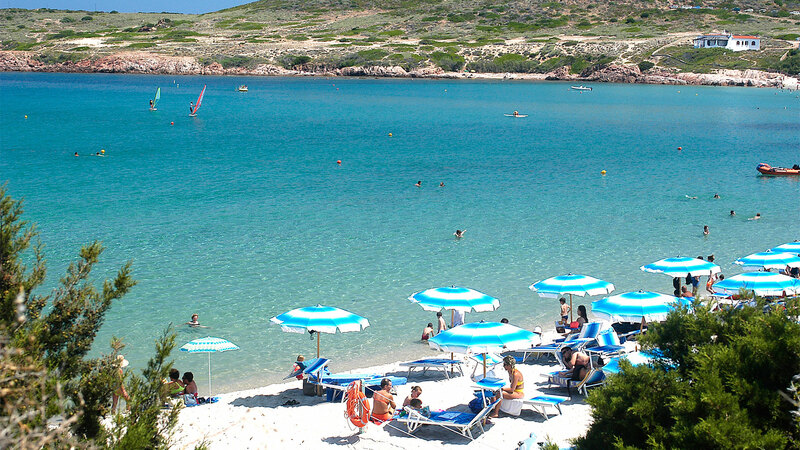 At the public beach at La Marinedda it is possible to hire beach parasols and sun loungers while available in the area reserved for the hotel and take sailing, windsurf and diving courses (outside operator services for which payment is required). 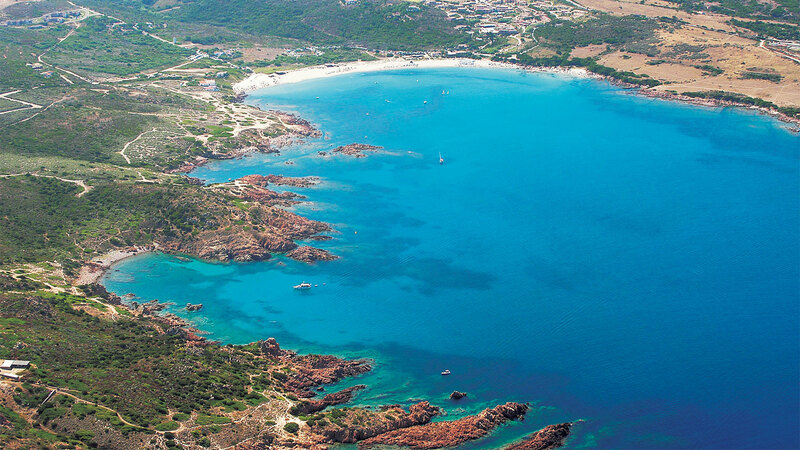 Walking enthusiasts will be able to discover the beautiful sandy little bays set amidst the red rocks that are found on either side of the beach and enjoy the typically transparent seawater which is the most beautiful in Sardinia together with the scented and unspoilt nature that surrounds it. 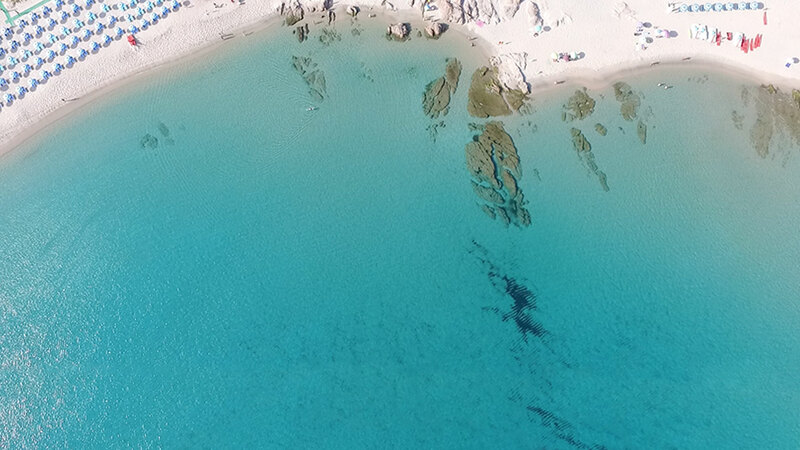 From Isola Rossa either 5 minutes by rubber dinghy or 30 minutes of walking will bring you to the long and wild sandy shore of Badesi where you can sunbathe and swim “naturally” or collect shells and driftwood brought by the Mistral wind.